Our Mission: To provide every student an education that is academically rigorous, personally enriching and socially responsible to ensure college and career readiness for all. Our Vision: High quality instruction and high levels of learning for EVERY child, EVERY day in EVERY classroom and environment. Our school district consists of seven elementary schools, one middle school, two high schools, and one junior/senior high school. We serve over 3600 students in both urban and rural settings. 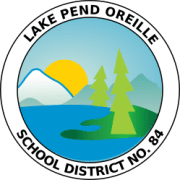 Would you recommend Lake Pend Oreille School District?